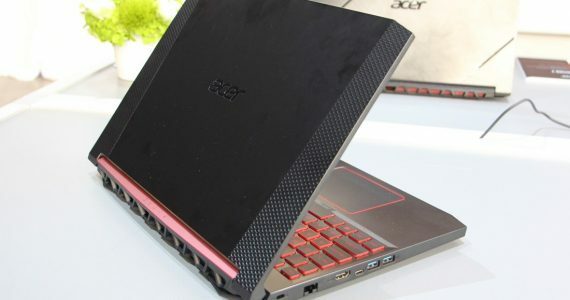 Looking for a Broadband internet for home or for on the go? 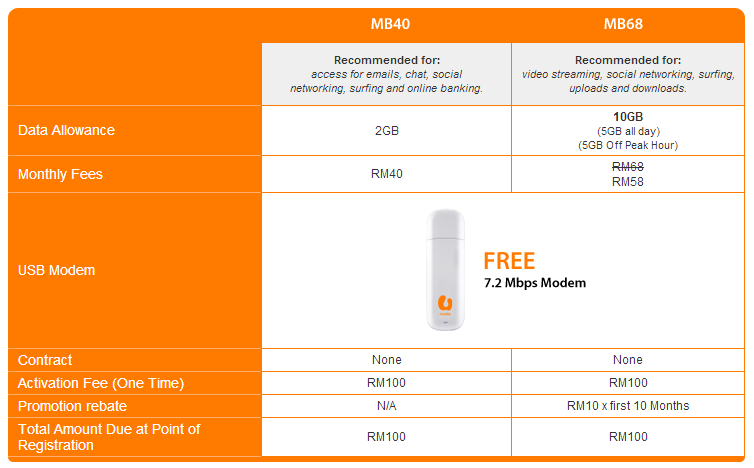 U Mobile just introduced its new Super Broadband Plan MB68 that gives you 10GB of data for only RM58/month; it even comes with a free 7.2Mbps modem. MB68 is nothing new, but this new Super Broadband plan promotion comes with peak and off peak data that gets you extra 5GB of data at the same price. Super Broadband MB68 is split into two different time segments – 5GB for the entire day and 5GB for off peak hours only from 2am to 8am. This offer is only valid from 19 July to 31 October 2013, and the extra quota is only applicable for the first 12 months – for example from 25 July 2013 to 31 July 2014. Finally, although no contract is needed, you will need to pay a one-time activation fee of RM100. U Mobile will be giving RM10 rebate for the first 10 months hence the RM58/month fee for MB68. Visit U Mobile for more information.